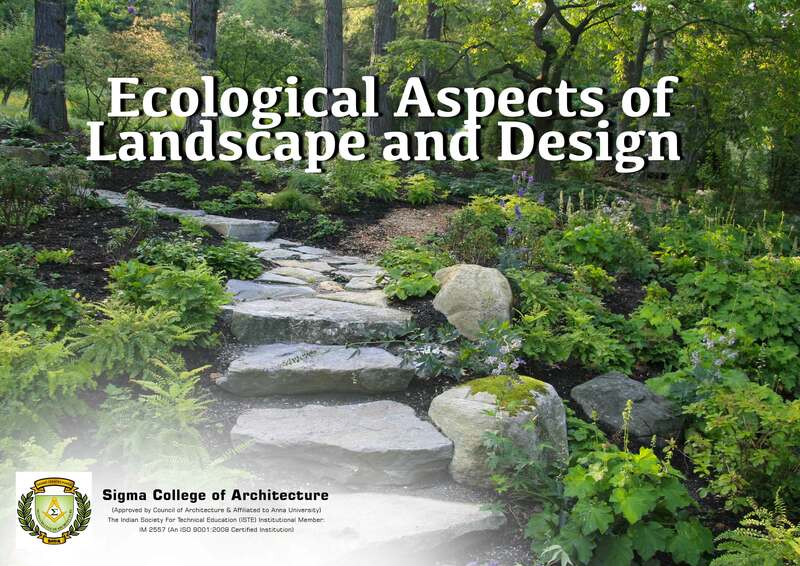 Today, there is a growing demand for designed landscapes—from public parks to backyards—to be not only beautiful and functional, but also sustainable. Sustainable Landscape implies a deep understanding of the structure, function, and relationships that exist within an ever-changing ecosystem. Utilizing a wide variety of native plants leads to increased biodiversity. Plants are central to a functioning global ecosystem. They can also be used inside the home to improve air quality and human productivity. As we become better stewards of the land, the living landscape provides us with such clean air and water, healthy natural food, filtering of pollution and decomposition of waste. It also fulfills our need for recreation and beauty. As we nourish the earth, so it nourishes us. Residential landscapes can also be used to grow food at home and in communities. We are closely connected to the soil, sky, water, plants, and animals that surround us. Here at Sigma College of Architecture, one of the Top Architectural Colleges in South India we ensure to incorporate all these fundamentals into our curriculum.